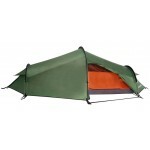 The Stealth 2 is a true backpacking tent using lightweight materials to minimise load but still providing lots of space for 2 people plus a large porch area. 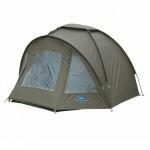 The Stealth features three aluminium poles with pre-shaped articulated corners to enhance living/sleeping area volume. 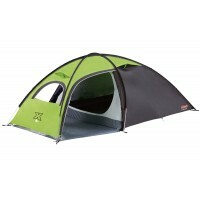 The large porch area is ideal as a storage (possible cooking) area with side-entrance (nip out for a takeaway to avoid Stan's stew) and good sized central window for when you have the hatches battened down. 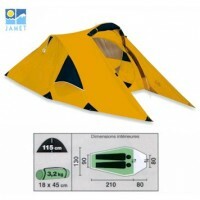 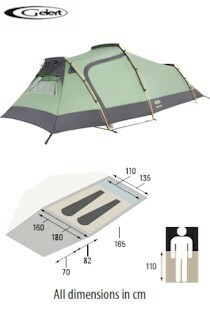 Key features include; a 190T breathable polyester inner tent; a 190T polyester flysheet with waterproof PU coating (2000mm hydrostatic head protection); 3 x 8.5mm aluminium poles; small pack size; pre-attached guylines; pitched outer first. 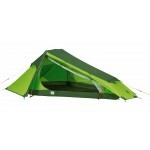 Gelert Stealth 2 Backpacking Tent.